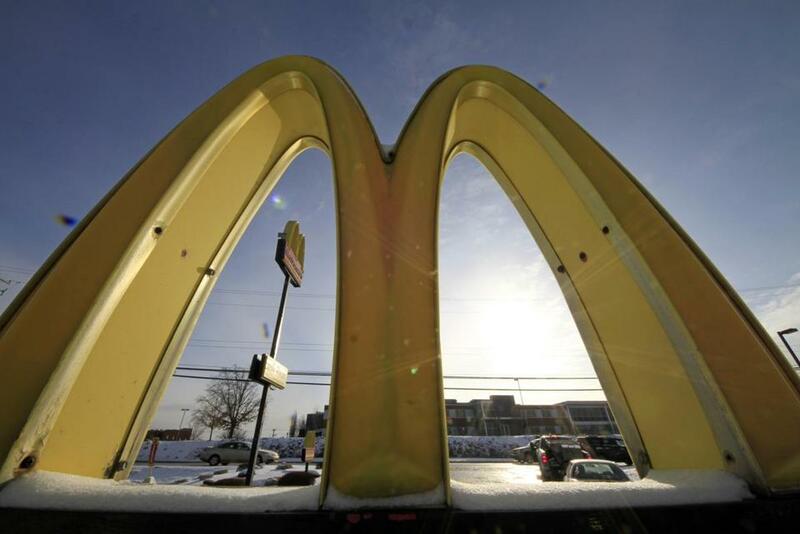 McDonalds says it will switch to cage-free eggs in the U.S. and Canada over the next decade, marking the latest push under CEO Steve Easterbrook to try and reinvent the Big Mac maker as a modern, progressive burger company. Advocates of a proposed ballot question that would require Massachusetts farms and businesses to produce and sell only eggs from cage-free hens are lauding the announcement Wednesday that McDonald’s will transition to cage-free eggs for almost 16,000 restaurants in the United States and Canada, indicating the move will help pave the way for the referendum’s victory. “This is a further affirmation of the feasibility of the proposed ballot measure in Massachusetts to prevent animal cruelty,” said Stephanie Harris, Massachusetts state director of the Humane Society of the United States, part of a coalition of animal welfare groups backing the ballot push. “If a cost-conscious retailer like McDonald’s can implement the modest animal welfare improvements of this proposal, so can we in Massachusetts,” she said in a statement. The Massachusetts Society for the Prevention of Cruelty to Animals, another group in ballot coalition, also framed the McDonald’s move as helping the proposed referendum. “It’s encouraging, as we head into the months in which will be trying to get people to support the ballot initiative to harken back to instances like this, where a big brand, such as McDonald’s, is forced to make changes because this cruelty has been exposed and their customers demand reform,” said MSPCA spokesman Rob Halpin. The local ballot question, which will need to overcome a series of signature-gathering hurdles before going to voters in November of next year, is aimed at protecting farm animals from cruelty. If it passes, starting in 2022, Massachusetts farms and businesses will have to produce and sell only eggs from cage-free hens; pork from pigs not raised in or born of a sow raised in a small crate; and veal from calves not raised in a very tight enclosure. Advocates say it would simply ensure some animals have enough room to stand up, lie down, turn around, and extend their limbs. But the food industry has offered a sharp warning: The measure would raise prices and hurt family farmers. Chad Gregory, president and chief executive of United Egg Producers, which represents companies that account for 95 percent of all the eggs produced in the United States, pushed back against advocates framing the McDonald’s announcement as boosting the ballot question.